SEATTLE A gunman opened fire in a crowded mall north of Seattle, killing five people before fleeing Friday night, authorities said. Four of the victims were women, Washington State Patrol Sgt. Mark Francis said. A man was wounded and was transported to Harborview Medical Center in Seattle. Francis confirmed the man’s death on Twitter early Saturday. Francis said police were searching for a Hispanic man wearing black and armed with a rifle who was last seen walking toward Interstate 5. “We are still actively looking for the shooter. Stay indoors, stay secure,” Francis said at a news conference. Francis said that the shooter was armed with a hunting-style rifle, and it was unknown if the attack was targeted. The motive is unknown, Francis said. CBS affiliate KIRO tweeted a screengrab of the suspect taken from security camera footage from inside the mall, which was confirmed by the Skagit County Department of Emergency Management. 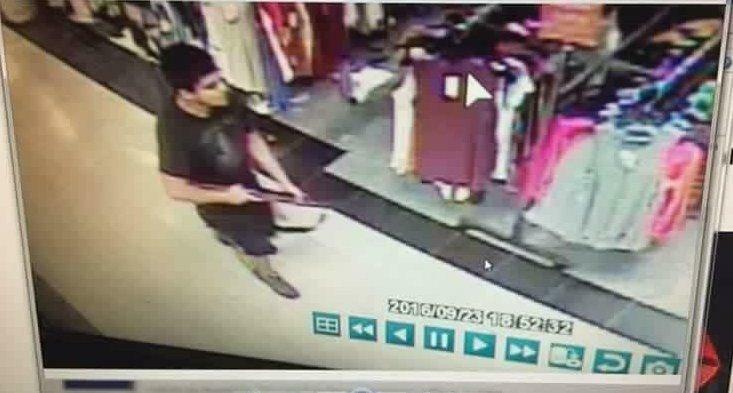 The deadly shooting happened in the Macy’s store at the Cascade Mall in Burlington, Washington, about 60 miles north of Seattle. Authorities were methodically searching the entire mall for people who may have still been hiding. By 11:30 p.m., Francis said the search was nearly complete. The FBI tweeted there is no information to suggest another attack is planned in the Washington area on Friday night. Stephanie Bose, an assistant general manager at Johnny Carino’s Italian restaurant near the Macy’s store at the mall, said she immediately locked the doors to the restaurant after hearing about the shooting from an employee’s boyfriend. The Cascade Mall is an enclosed shopping mall that opened in 1990, according to the mall’s website. It features J.C. Penney, TJ Maxx, and Macy’s stores, among other stores, restaurants and a movie theater.